It's not really a secret that we've had a troublesome relationship with kickstands. A while back, we had a couple of reports of people crushing the chainstays on their Long Haul Truckers through immoderate use of force when affixing a standard kickstand. Essentially, our stance at that point was that you can use a kickstand to your heart's delight, but going Hulk on the mounting bolt might cause damage that is not of the warranty variety. This led to some backlash. Maybe we were a little grumpy about it, but that's just who we are. I'm a big fan of leaning my bike against stuff, but I do also appreciate the occasional "bike magically remaining upright on its own" vibe, too. So, personally, I've used a kickstand in a number of iterations of my Long Haul Trucker builds. These two plates will sammich nicely on the chainstays of your Trucker - be that Trucker 26" or 700c, disc or non-disc - and allow you to mount any number of kickstands thereupon. Given that we're all in the universe and that entropy happens, there's probably still a way to misuse it. However, barring gross non-adherence to the supplied directions, you will be able to stoutly mount your kickstand and have that sucker hold up your bike. So, they'll be in stock shortly - like next week. Have your bike shop order one up when that happens. KI0010 is the part number. Fits on Truckers. Doesn't fit with other things, models, frames, items, stuff. Also, don't forget Urban Jungle Cross in Milwaukee this weekend. Ask around for details. 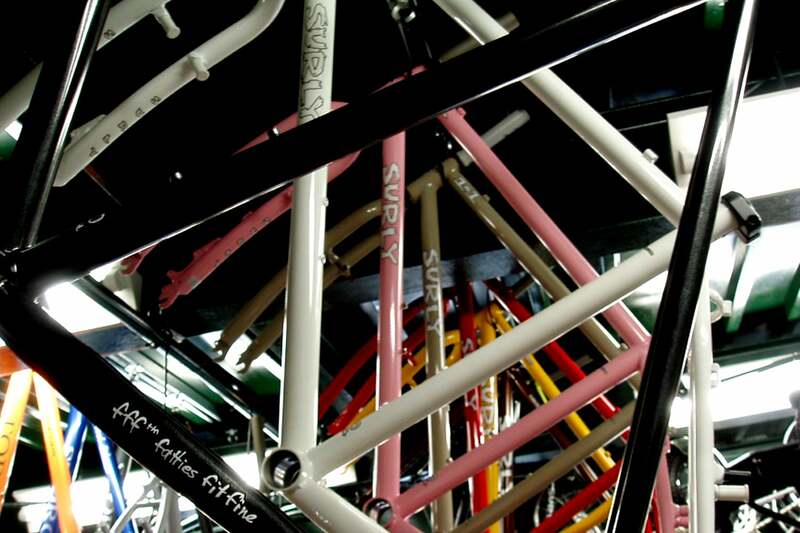 Urban Jungle Cross Series (Milwaukee) from Steve Roche on Vimeo.